The Aldonex digital remote control offers digital display of output Amps and Volts, programmable duration timer for precision cycle timing, programmable ramp up time, scalable to volts or amps, allowing for precise control of output every time. 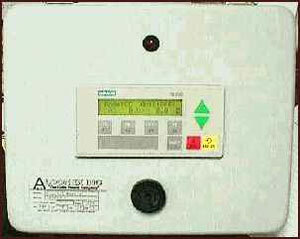 Also included is an Amp minute/hour (selectable) meter with relay output for process control. A readable display conveys to the operator rectifier status and fault messages for troubleshooting. This digital remote control is designed for use with SCR-type rectifiers. Aldonex, Inc., 2917-19 St. Charles Road, Bellwood, IL 60104 Phone: (708) 547-5663 Fax: (708) 547-5663.